The last thing you need is for your heating or cooling system to break down when you need it the most. When that happens, Cote’s Mechanical has a team of HVAC experts ready to assist you at your Justin home or business. We can provide you with emergency repairs on a 24/7 basis or install a brand new heating and cooling system for your residential or commercial building. When you have us take care of your HVAC needs, you’re getting the best A/C and heating services in Justin. From competitive prices to emergency service, there are many reasons to choose Cote’s Mechanical to take care of the HVAC services that you need completed. Let us help you keep your home or business interior as comfortable as possible, whether it’s hot or chilly outside. When you need heating and cooling installation or repairs, or other services for your HVAC system, give us a call. When you choose Cote’s Mechanical for your HVAC needs, what kind of service can you expect? Our licensed professionals will show up at your door right on schedule and get to work installing or repairing your system promptly. We provide reliable A/C and heating unit installation and repair in Justin for both commercial and residential customers. You can count on us to handle installation and repair services in a timely manner and with as little inconvenience to you as possible. Our experts clean up afterwards and check your system to make sure it’s working properly before leaving. Keep in mind that we also offer maintenance on a routine basis to keep your HVAC equipment in the best shape possible. In addition, we provide replacement services, attic ventilation, and insulation for residential and commercial customers in Justin. The next time you need HVAC service, get in touch with our professionals. In 2001, Cote and Kristi Wyatt started offering heating and cooling services for residents and business owners in the Justin area. As more and more highly qualified and skilled technicians joined the team, our company became known for providing prompt and reliable HVAC services. No matter how soon customers need their heating system or A/C repaired, we’re on it right away. Our commitment to excellence hasn’t gone unnoticed. Customer reviews of our company typically mention how promptly our technicians take care of e. Other comments mention how thorough we are with repairs, which helps lower the risk of having more problems occur down the road. Our customers also note how friendly and knowledgeable our technicians are, which provides even more peace of mind. 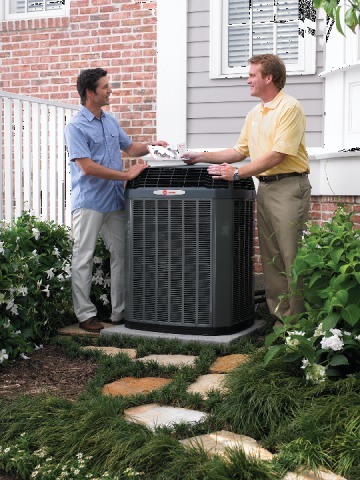 As a Trane Comfort Specialist, our company strives to meet the highest standards of service for HVAC repairs, installations, and other services. The Air Conditioning Contractors of America (ACCA) has also accredited our company for the quality of service we provide. Our A+ rating from the BBB and our Super Service Award from Angie’s List illustrate our strong dedication to making customer service a priority for our company so that we keep our Justin HVAC customers fully satisfied. The City of Justin offers a desirable combination of incomes that are higher than average and home prices that are lower than average. Residents in Justin have an average household income of $77,813, while homes in Justin cost an average of $165,200. Roughly 3,372 residents call the City of Justin home. Justin is about 30 minutes away from the neighboring City of Denton via FM 407 E and I-35W N. Residents can drive along TX-114 E for about an hour to reach Dallas and along I-35W S for about 40 minutes to get to Fort Worth. Justin offers several neighborhood parks where residents can have picnics or explore. City Hall Park features a sand volleyball court and play structures for kids, while Reatta Park features a pond, BBQ grills, and a walking trail. Residents can also enjoy homestyle cooking, including homemade pies, at Mom’s Cafe, or dine on homemade tortillas and other Mexican dishes at Margarita’s Mexican Restaurant. Residents of Justin who wish to contribute to the local community have many organizations and opportunities to choose from. Some of these include Justin Lions Club, Justin Business Association, the Community Clothes Closet, and Justin Civic Foundation. 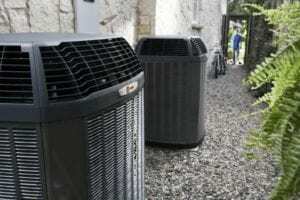 Are you ready for a new HVAC system? Is your current equipment giving you trouble? If so, then give the experts at Cote’s Mechanical a call today. We provide superior residential and commercial HVAC services for customers in the Justin area. Bill was very polite, showed up on time, and was very professional. He even showed me on the indicator what my level should be and helped me understand what was going on. He did a great job. Very friendly and knowledgeable service. Quick response and fix. Air conditioner is working great. Thank you! Best custom service by far! They came two days earlier than our original appointment. Bill was able to identify the problem and get us back in the cool very quickly!